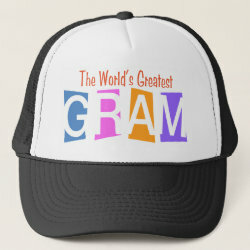 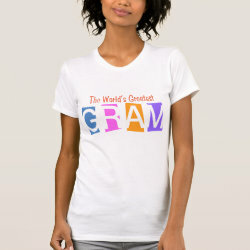 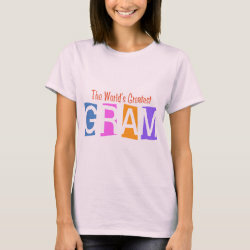 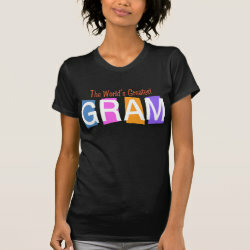 This fun retro-style World's Greatest Gram design uses white text on colorful background squares. 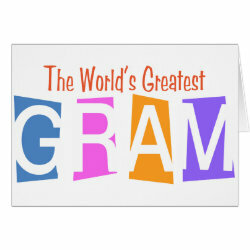 The word GRAM stands out in white text on dark backgrounds, while More... the letters blend outside of the boxes on gifts with light backgrounds. 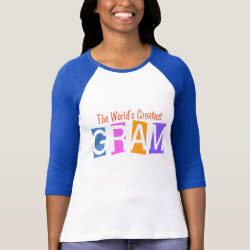 Two looks, one design. 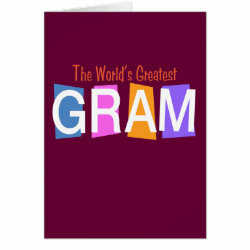 This makes a great gift idea for your grandma on her birthday, the birth of her first grandchild, or any other special day.